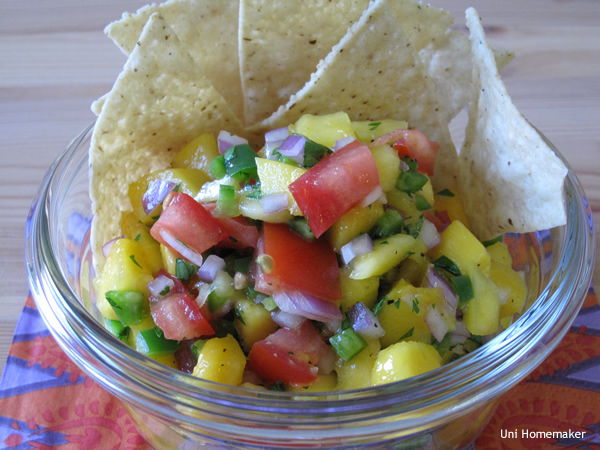 In a medium bowl combine mango, tomato, pepper, onion, parsley, ground coriander, olive oil, lime juice, salt and pepper. Mix gently by hand until all ingredients are well incorporated. Cover and refrigerate for 30 minutes. Check for seasoning before serving. This looks so good!! Such a gorgeous picture!